Custom outdoor kitchens are difficult to design, and require entire teams of workers to build and install. But, time and time again, homeowners are overjoyed with the results: heightened use and enjoyment of their outdoor living space. Many of the high-end custom grill islands feature Saber Grills components exclusively, because Saber grills, refrigerators, burners and other outdoor cooking components are the best in the business. The line of EZ Outdoor Kitchens by Saber are designed for people who want to experience the flawless design and superior results that a custom kitchen can bring to your backyard, but do not want to invest a large amount of time and resources. 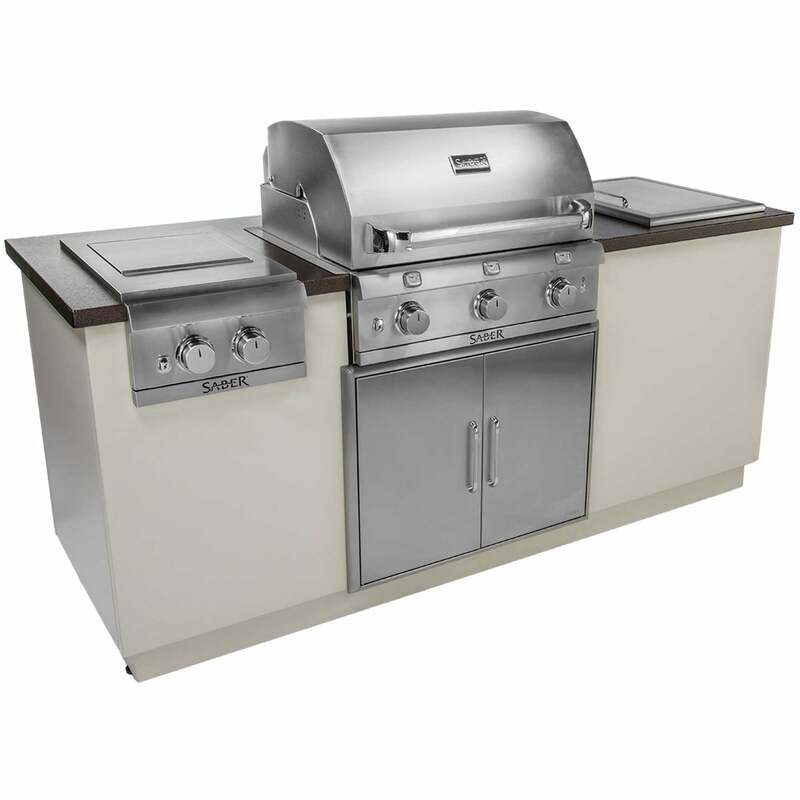 The Saber EZ Outdoor Kitchen I Series in Copper arrives at your doorstep and takes less than an hour to fully assemble. Then, you’ll enjoy a lifetime of use. This item requires freight delivery. This shipping method uses a full size semi - truck and product can be delivered to a street side location or into a room of choice based on the level of service requested. A representative will call to schedule your delivery which will require a signature upon receipt. Most delivery times within the Continental U.S. range from 5-7 days on in stock merchandise. Special order products ranges from 2-6 weeks depending on manufacturer.